As the communication specialist for StriveTogether, Elizabeth Male implements communication and marketing efforts, focusing on digital and social media. Before joining StriveTogether, Elizabeth worked for a disability service organization called Center for Independent Futures, where she executed a communication calendar of social media, blog posts, newsletters, annual reports and event promotion. She also supported development and fundraising efforts and coordinated the office of the executive director. 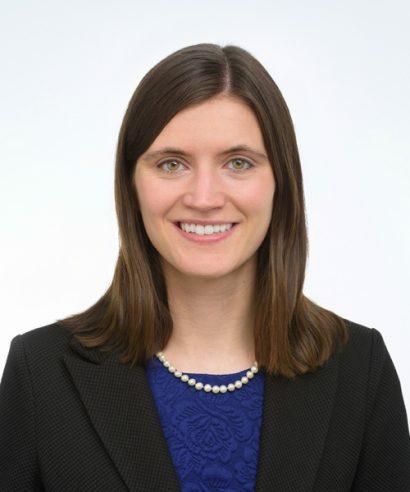 Elizabeth now serves as a member of the organization’s young professional board. Elizabeth earned a bachelor of arts in English literature from Northwestern University. While at Northwestern, she worked one-on-one with undergraduate and graduate students as a writing tutor and served on the executive board of the university’s chapter of Alpha Phi Omega, a national co-ed service fraternity. Elizabeth lives in Chicago. On the weekend, she spends her time painting at her neighborhood art studio and running along the lakefront. English, specifically Mr. Miller’s AP Literature class. I always enjoyed organizing my notebooks and supplies for the start of a new year. Any place with beautiful nature! I’d love to visit more national parks.